The Oviedo Train Depot, located at 520 South Lake Jessup Avenue in Oviedo, Florida. 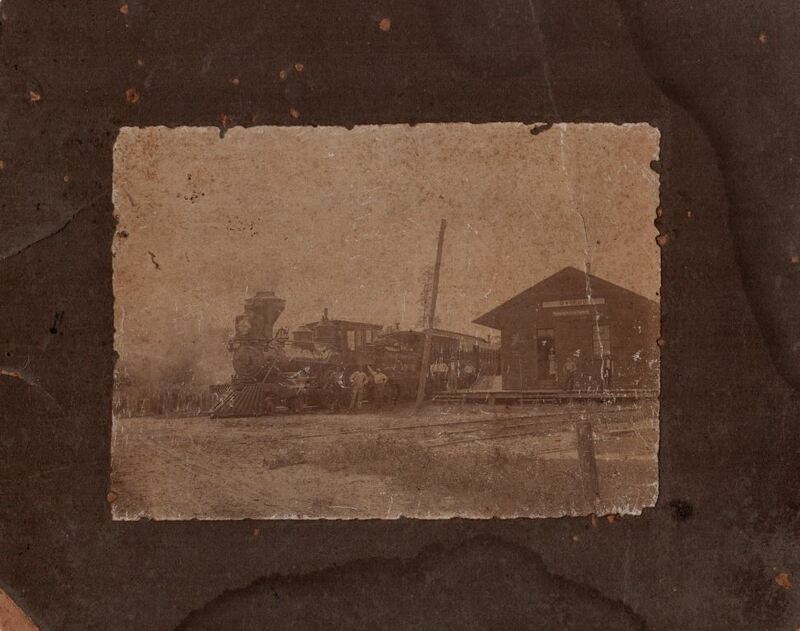 The depot was built in 1886 as part of the Henry Plant railroad system, which later became the Seaboard Coast Line (SCL) Railroad. The Plant system of railroads and steamships ran from Jacksonville to Key West. During World War II, the depot's roof was used to guide patrolling planes departing from the Sanford Airport. In the early 1970s, the depot was moved to 636 South Lake Jessup Road in order to make room for the expanding Nelson and Company business. In the 1970s, the defunct depot was sold to the Connolly Family, who restored and preserved the depot to its current state. Original 7 x 10 inch black and white photographic print: Private Collection of Vicki Clonts. Digital reproduction of original 7 x 10 inch black and white photographic print. Copyright to this resource is held by Vicki Clonts and is provided here by RICHES of Central Florida for educational purposes only. 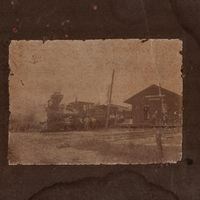 “Oviedo Train Depot.” RICHES of Central Florida accessed April 22, 2019, https://richesmi.cah.ucf.edu/omeka/items/show/6282.